Quite disappointing movie. It went on and on and on and too many songs. predictable and yet boring. Even before you've seen MBKD, you know you can expect only so much from a film like this. 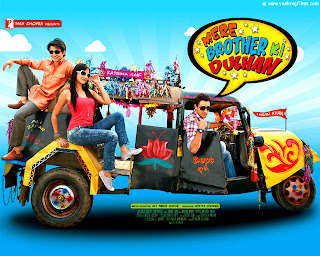 A YRF film, after all, is supposed to be enjoyed like a YRF film. Just like you can't imagine Amir doing a Chulbul Panday and/or Shahrukh doing a 'Singh' is King, it's only feckless to expect serious highbrow cinema from a YRF banner. Yes, it's got cliched characters (very!) and the most predictable plot, but MBKD still makes for a fun film.